I hope to shed some light on this confusing topic and then because it’s me, wander off to other topics too. Flower Essences are NOT Essential oils. They can be used in conjunction with Essential oils. Room spritzers are an example of a situation in which they are often used together. Flower Essences do not contain plant material from the Flower as Essential oils do. 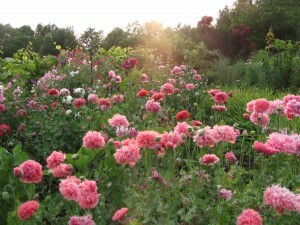 Flower Essences offer the wisdom of the plant in an energetic form. They are NOT hydrosol products either. Hydrosols are produced when Essential oils are made. The Essential oil floats to the top of the water and the water or hydrosol is a by-product that is used in a variety of ways. Both Essential oils and hydrosols are herbal distillates containing the chemical compounds of the plant. Flower Essences are not distillates and do not contain the chemical compounds of the plants. When I first made Flower Essences the Angels told me that eventually Flower Essences would be a very key modality, not just because they are the most refined and pure expression of a Flower’s wisdom, but because they are a very ecological way to use Flowers. With many Flower products, a large number of Flowering plants must be harvested for a small amount of product. With Flower Essences, Flowers are harvested without endangering the plant’s life. Additionally, a small amount of Flowers can make a Flower Essence that will be made into hundreds even thousands of bottles. As with so many things about Flower Essences, volume is not the issue. The electrical pattern or vibration of the Flower is the issue, and a Flower Essence offers this vibrational plant wisdom in a complete and easily utilized form without the harvest of large volumes of plants. Making a good Flower Essence is a process which requires support from other parts of creation namely the Elementals of the Elemental kingdom (aka Nature Spirits) and the Angels of the Angelic kingdom. As you may recall from my many blogs about these partners, the Angels are the architects of form and therefore hold the blueprint of what a Flower is meant to energetically radiate, and the Elementals manifest all form so they know which Flowers actually do radiate this vibrational wisdom. When I make a Flower Essence, the Angels and Elementals guide me about which Flowers to choose from which plant as well as which day to make the Essence. This insures that the highest vibration Flowers are chosen so the Flower Essence can hold the highest vibration possible. Additionally, the Angels and Elementals have spend almost thirty years working with me on the energy grid of Green Hope Farm. This work to raise the vibration of the farm opens the way for the Flowers we grow here to make manifest their divine purpose more fully which results in Flowers of particularly high vibrations. With the humans working in concert with the Nature kingdoms, the land of Green Hope Farm gets to express itself more completely as does everything growing here. The Elementals and Angels are key to the growing of the Flowers for a Flower Essence and also key to the transfer of the vibration of the Flower into the Flower Essence. Without their involvement, there would be no Flower Essence. For this reason and so many more, I give thanks to them every time I make a Flower Essence. One enormous shift because of our conscious partnership with the Angels and Elementals was changing our Flower Essences from conventional preservatives to a more ecological, higher vibrational and more sustainable preservative. 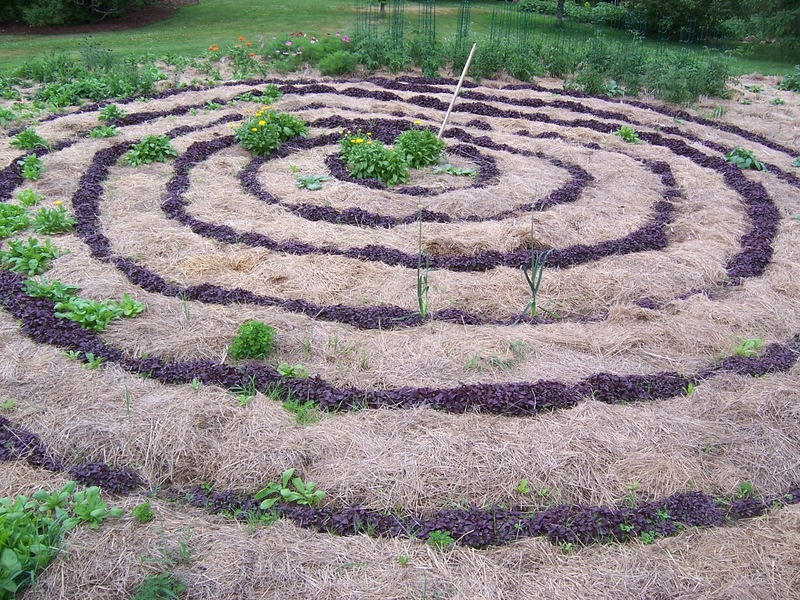 Red Shiso, our preservative, is a Japanese plant from the mint family that we grow here at the farm. This plant receives the same tender care all the Flowers receive. Each year it is grown by us humans in a specific new mandala designed by the Angels and Elementals. These mandalas increase the plant’s vibration as well as the overall vibration of each of our bottles of Flower Essences. The Angels describe the coming era as the Age of Flowers. As we move into this era, it will be more and more important that we are able to learn from the wisdom of Flowers without overharvesting the Flowers. Right now for example, Wild Ginseng is an endangered species. We have this Flower as a Flower Essence. No plant was killed to make this Essence. The plant with which I made this Flower Essence is still alive. We can share Wild Ginseng Flower Essence and all the plant wisdom of this Flower with thousands of you without harming a plant. As I have mentioned before, Flower Essences are also very ecological in that one can experience the wisdom of a place and its Flowering plants without the carbon footprint of jet travel to the place. By working with a place’s Flowers via their Flower Essences, one can learn the wisdom held by this place. 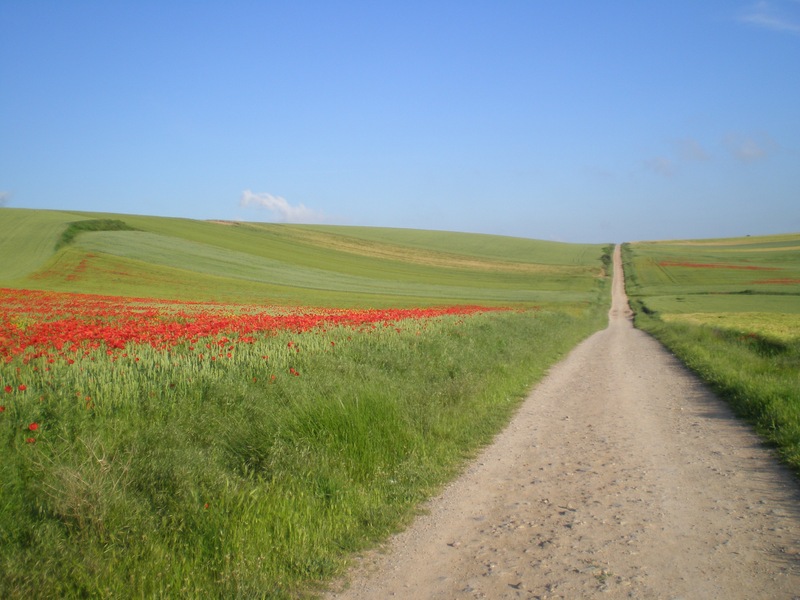 The Camino Flower Essences are a prime example of that and a true blessing for those of us who do not know if we will get the chance to travel this pilgrimage route ourselves. I know people travel for many other reasons besides tapping into the wisdom of a place, however it has been a great gift in my life that I have been able to learn and grow from Flower Essences made in places where I have been unable to visit. I am grateful for all the people at Green Hope Farm who, at the behest of the Angels and Elementals, have gone out into the world to far flung places to make Flower Essences to share with us all.